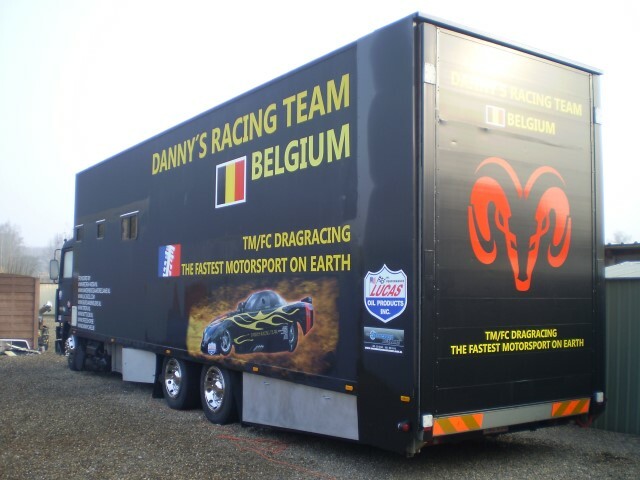 Last weekend a new dragracing season started for Danny Bellio and his team. 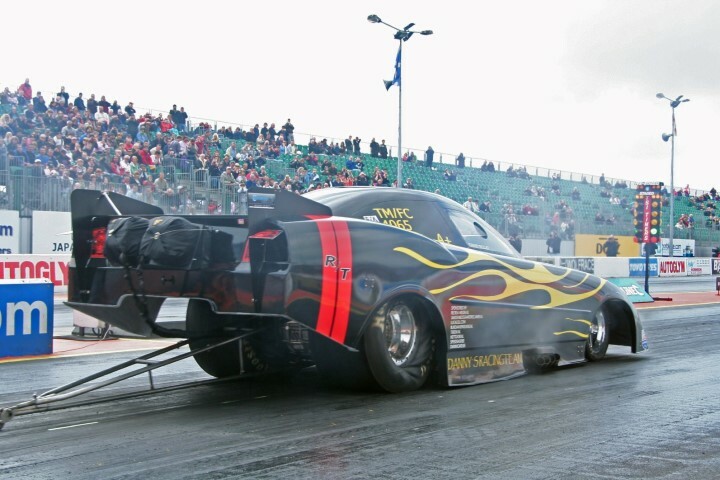 During off season a lot of work was done on the funny car and truck and some new parts (body, clutch…) have been installed. So the car was ready to do a first outing on the track at Santa Pod. Unfortunately the weather was spoiling the party again (remember 2008). On Saturday it kept on raining, so racing was not possible. We had good hopes for Sunday. At around lunchtime on Sunday the track crew managed to get everything race ready. During warm up we noticed some problems with the oil pressure. It was not possible to resolve this failure in time for the first round of qualifying. The team worked hard and by the time they called the Pro classes to the start for the second qualifying run, the car was ready to race. The new body of the FC, a Dodge Charger was looking great on the track. As it got dark, Danny did the first halftrack test run with the car. Everything appeared to be OK, a full check up was done and the team worked late night to get the car in an excellent condition. On Monday morning it was nice and sunny. 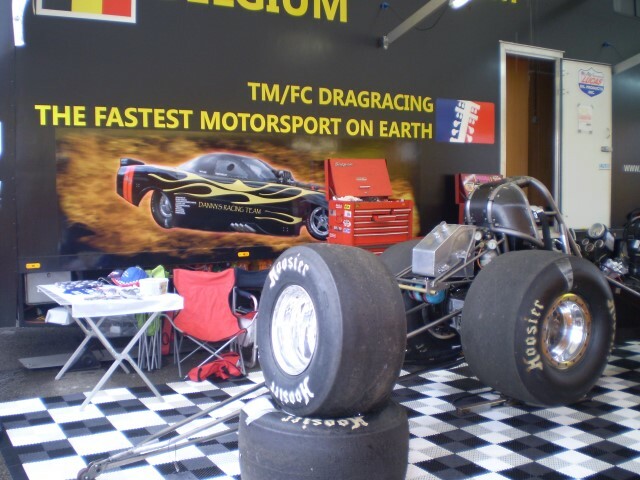 As we were fourth qualifier we had to race in the elimination round against the number 5, Dennis Haberman with his Top Methanol Dragster. It was an exciting run. Danny did a nice burnout, was away first, but had some tire shake and reached the finish in a time of 5,88 sec. to 5,66 sec. for Dennis. After the finish line the chutes didn't came out properly and the car was bumping around heavily. Danny managed to keep the car on the track and made a safe stop. Unfortunately the chutes are completely ruined and there is even some damage to the new body. But apart from this bad luck the team was extremely happy with the excellent time of 5,88 sec. and 396 km/h. This looks very promising for the coming season! !